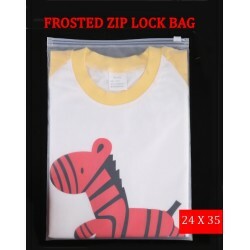 Zip Lock Plastic Bag There are 10 products. 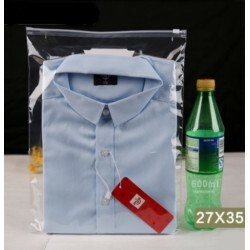 Specification: One side frosted (semi transparent), one side fully transparent Dimension: 26cm x 39cm Material: CPE, having better antioxidant properties compares to normal plastic bag. Soft and good tenacity. Non-toxic and harmless to people. 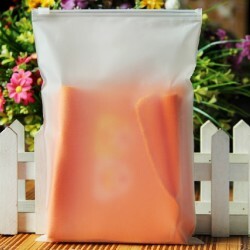 Specification: Both side frosted (semi-transparent) Dimension: 17cm x 25cm Material: CPE, having better antioxidant properties compares to normal plastic bag. Soft and good tenacity. Non-toxic and harmless to people. 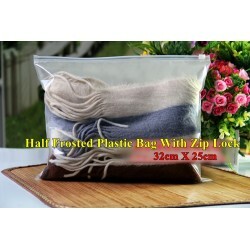 Specification : Both side frosted Dimension : 28cm X 40cm Features : Waterproof Material CPE, having better antioxidant properties compares to normal plastic bag. Soft and good tenacity. Non-toxic and harmless to people. 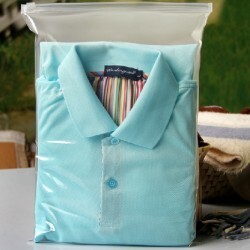 Use it for packaging to increase customer satisfaction. Customers can keep this bag for storage purpose. Specification: One side frosted (semi transparent), one side fully transparent Dimension: 26cm x 18cm Material: CPE, having better antioxidant properties compares to normal plastic bag. Soft and good tenacity. Non-toxic and harmless to people. 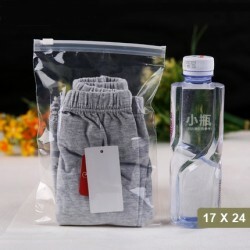 Specification : Both side PE film production , transparent zipper Dimension: 17cm X 24cm Item Reference: Kids clothings, scarf, female lingerie and etc Material: PE transparent, Soft and good tenacity. 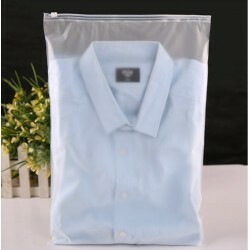 use it for packaging to increase customer satisfaction. Customer can keep this bag for storage purpose. 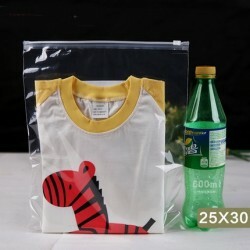 Specification : Both side PE film production,transparent zipper Dimension : 25cm(L) X 30cm(H) Features : Adults Tshirt, thin sweater, cotton sweater, pants (single), A4 size paper Material: PE Transparent, Soft and good tenacity.